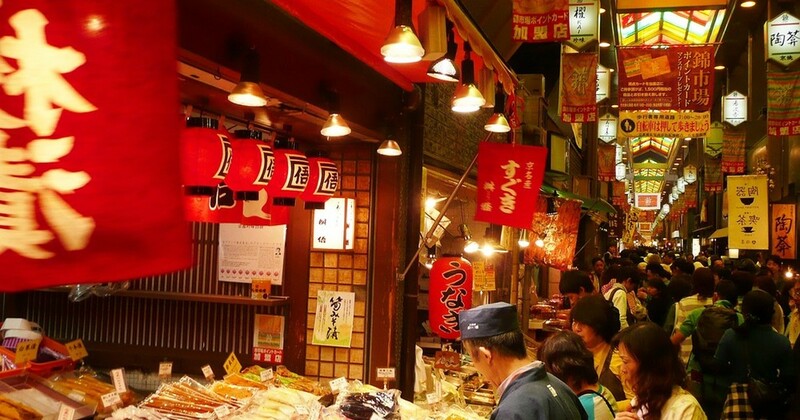 Do you know that not only shrines and temples but Kyoto has a famous and historical market called “Nishiki market”? Nishikikoji Street located on the north side of Shijyo Street has Nishiki Ichiba shopping district called “the kitchen in Kyoto”. 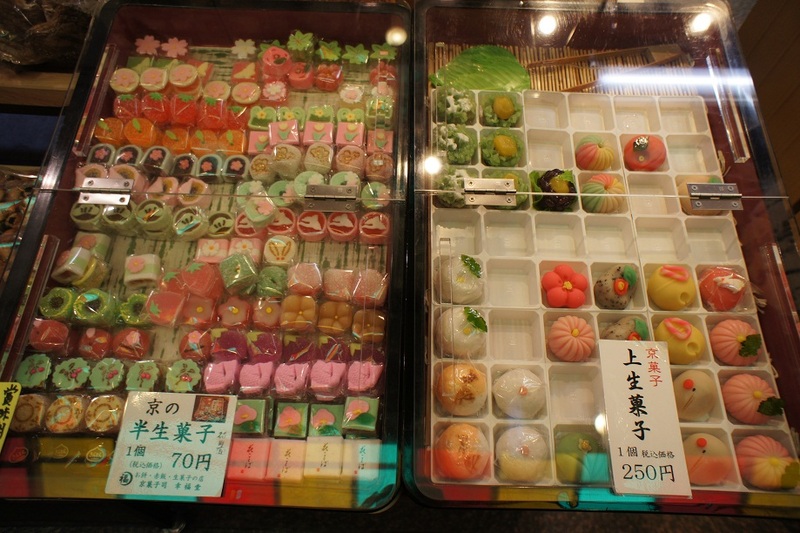 Here you can touch the seasonal ingredients in Kyoto and the unique food culture of Kyoto. Just watching a dish that stuck in a skewer suitable for “eating while walking” or Kyoto style dessert or the like is fun. If you are traveling in Kyoto it is recommended to have a plan to visit the Nishiki market even for an hour in the plan. It will surely be deepened with memories of the trip. “Nishiki Market” is such a shopping district where all kinds of things unique to Kyoto, such as Kyoto vegetables, “Obanzai” (side dishes), located between Teramachi Street and Takakura Street on Nishikikoji Street in Nakagyo Ward, Kyoto City. 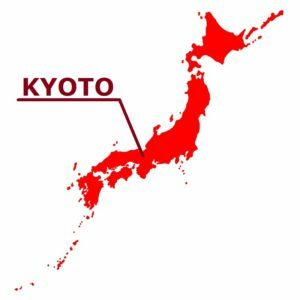 It is said that the start of the market is due to the fact that the shop that pays fresh fish to the Kyoto Imperial Palace gathered during the Heian era, utilizing abundant groundwater. It has a history of 1,300 years, from the citizens of Kyoto it was called by the nickname “Nishiki” and it has been popular. This is crowded with local citizens as “the kitchen in Kyoto”. Some of the products dealt in the market are somewhat higher, but their quality, abundant types are very different from supermarkets and department stores. In addition, it seems that it is characterized by citizens and local communities that are trusted. Do not worry that there is nothing interesting if you go to fresh market with sightseeing. This Nishiki Market is a market that is happy for tourists as well as eating while walking. 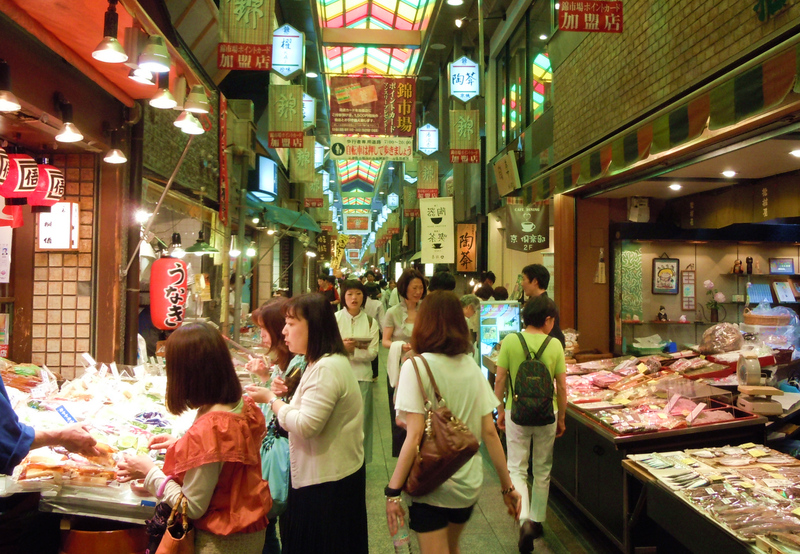 Nishiki Market will entertain the local people as well as foreign tourists, visitors. Why do not you visit Kyoto’s market full of lively between travels? As it is said, “In Osaka, they spend all their money on food.” In the Kansai region there is an image called “Osaka with food.” It seems that the image of Kyoto is mainly the shrine and temples as well. In Kyoto, you can feel the good old Japan in its space with the building full of taste. However, even in Kyoto, a food market that fulfills the desire to “eat something delicious” is located in the center of the city. The history of Nishiki Ichiba Market dates back 400 years ago. From Kyoto citizens, it is called and loved by the nickname of “Nishiki”. It was once crowded with the local citizen as “a kitchen of a capital.” Now, it is being crowded as a famous place with the vigor which a tourist visits with Shinkyogoku Market and Teramachikyogoku Market. Unlike supermarkets and department stores, citizens are pleased with the quality of the fresh seasonal ingredients and a wide selection of items. This place is closest to civic life is the biggest feature. The title of wholesale dealer of fishes was allowed by the government at the Edo period, and Nishiki Ichiba Market prospered as a fish market. 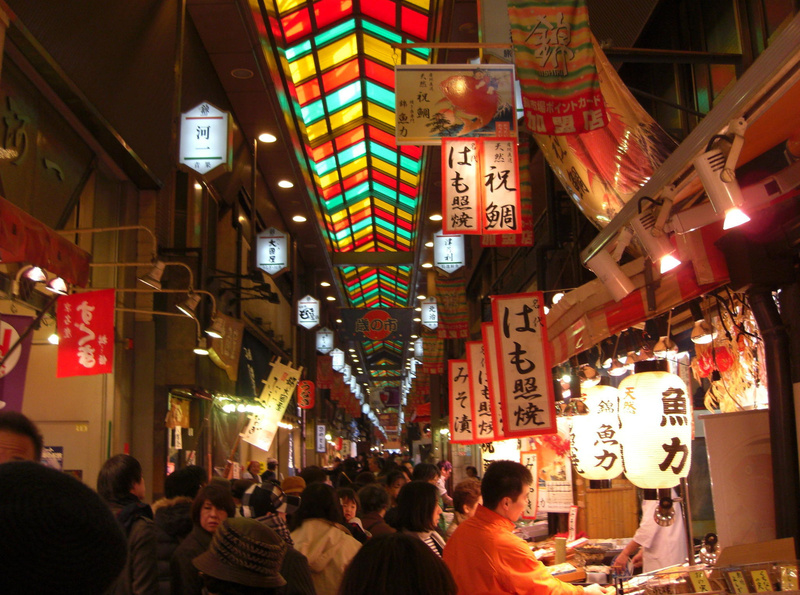 Nishiki Ichiba Market is crowded with 126 shops in a 390 meters long shopping street. There are places of 3.3 meters in width in shopping districts, and when many people rush on holiday, it may be unable to progress easily. Such Nishiki Ichiba Market has come to visit not only local people, but also many foreign visitors recently. 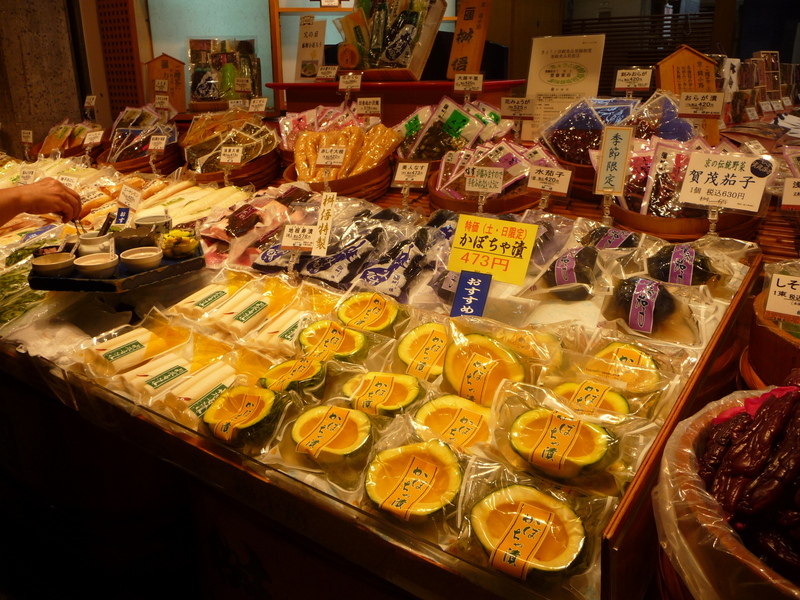 In addition to fresh Kyoto vegetables, traditional Kyoto pickles, Yuba (bean-curd skin), Tofu (soy bean curd), tea, etc., many items such as Kyogashi (Kyoto confectionery) etc. are sold in the Nishiki Ichiba market. Please drop by when you come to sightseeing in Kyoto.